A Web Server is a technology that utilizes an HTTP request to manipulate many processes via the World Wide Web or computer networks. It is used in many industries and markets, but it is not yet widely used in our Intelligent Transportation System world. What are the Benefits of an Embedded Web Server? One of the benefits of an embedded web server is that it resides in the equipment itself - it is not a separate software that needs to be installed on a computer. You can access it with any computer as long as you have a web browser (Internet Explorer, Mozilla Firefox, etc.) and a connection with the equipment (remote or local). You will need to enter the IP address of the equipment to launch the program and most of the time a user ID and password will be required to access the menus. 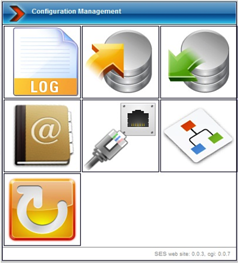 Managing your Dynamic Message Sign maintenance with an embedded web server eliminates much of the burden experienced with older technologies, where you needed to have the right software version, the right operating system version, and to keep both the software and hardware kept up to date. 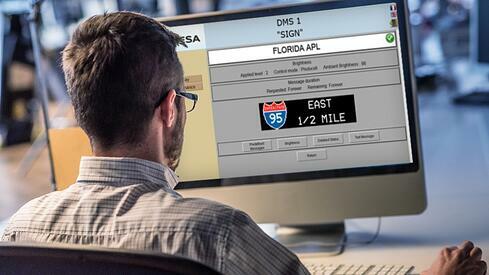 What does SESA's DMS Smart Controller (SCU6V3) with an Embedded Web Server Bring to the Table? The SESA Web Server can replace a centralized control system for small installations with a small number of DMS, as it provides the functionalities you need to operate and maintain Dynamic Message Signs in a very simple, straight foward manner. 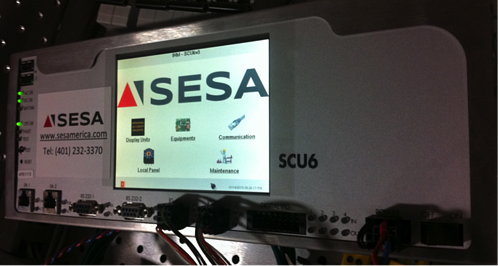 SESA’s unique, intuitive Web Server provides convenient access for maintenance personnel to remotely access SESA’s SCU6 v3 mutli-DMS controller. Access to the sign controller is necessary to configure communication settings, as well as performing simple maintenance tasks and diagnostic testing. 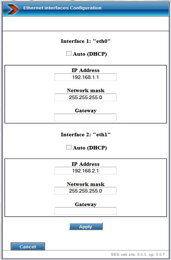 The SESA Web Server can be accessed through the Local Ethernet Port when the DMS technician is onsite, or remotely through the signs remote access connection. Among many other funtions the Web Server has the ability to post remote messages, adjust brightness control among many other functions. The web server is a valuable tool in many situations, as it is easy to use and does not need a specific configuration or downloaded software. The SESA web server is economical because it is embedded with the controller and does not cost extra license fees.